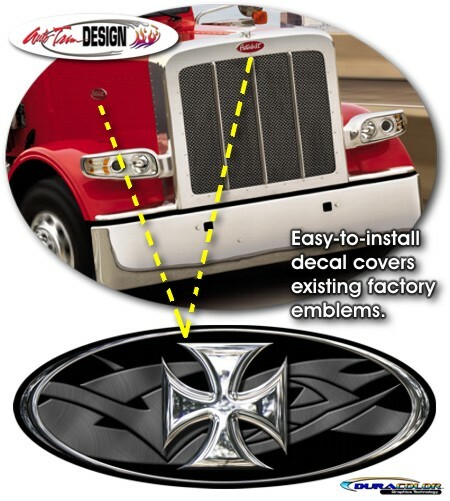 Detail your Peterbilt with this awesome Maltese Cross & Tribal design decal that fits perfectly on the factory oval emblem of the rig's front grille or side hood areas. Maltese Cross and Oval trim features a simulated chrome look while the Tribal design appears as simulated Brushed Metal. Both elements are set on a Black background. The decal is manufactured utilizing our DuraCOLOR process.